Here's The Coupon You Requested! Congratulations on taking advantage of our limited stock clearance offer and also taking the first step to your yoga journey of healing and empowerment!  Please find below the coupon you requested for 80% off the Blue Shantihi Hot Yoga Towel to help you get started on your yoga journey. We know you are absolutely going to love our yoga towels which will help you stay stable on the mat and keep you feeling clean and dry. You would also be supporting our movement to empower women who are facing adversity to find strength and heal through the practice of yoga. Our yoga towels are normally $18.97 so with your code, you will only pay $3.79 (that's a savings of $15.10!). Here's what you have to do to redeem the coupon and take advantage of the discount. Click this link which will bring you to our Shantihi Amazon.com store. Please click on the yoga towel listing on the left as shown in the screenshot. Select the BLUE Shantihi Yoga Towel by selecting the BLUE yoga towel icon and Mat Size 72"x24". Select 1 Quantity and Add to Cart. Paste the promo code 80BLUESHANTI in the Gift cards & promotional codes box and hit Apply. 80% off will be applied to 1 Blue Mat Size Shantihi Yoga Towel making it only $3.79. Go ahead and click Place your order. Thank you for being a part of Shantihi's global movement to empower people, particularly women going through tough times. I truly believe that yoga can make a huge difference in our lives and I hope you will find the balance and sense of ease that you are searching for. So congratulations once again on taking that first step with your very own yoga towel. Remember to use your coupon now, as we limited it to the first 100 customers, and once they are used up, they’re gone for good.